The book is written in easy to read language. It is informative. Content is well organized (sometimes the authors jump from one thought to another, from this hard to grasp the essence. Murphy certainly not such writer). I can not say that 100% of the book is universal (so my impression formed from the the author examples). 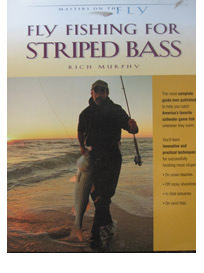 but in general the book is very useful: tons of good information, history, ichthyology, techniques, tactics, locations, stories, fantastic illustrations and photography.